When was the last time you sat down with your kids and just told them all that you hope for them. Maybe, how you are praying for them. Jeremy and I had a heart to heart talk with the girls the other night. It all started when they began to argue about clothing, again! We talked about their relationship as sisters and how God put them together for a special reason. We told them how we hoped that they would continue to respect and love on each other. We discussed how they would be together forever. They were a gift to each other and they were priceless. It is so easy to get caught up in the mundane things of life and to spend little time focusing on the things that we see God doing in them. God has big plans for our children. Sometimes it is hard for us to see what He is doing. Look at the big picture. What areas have you seen improvement in them? Continue to discuss with them those areas you see that need improvement. They feel valued when we take notice and really try to help them. A child wants to please their parents whether they know it or express it. Tell them the positive things you have seen in them and watch their confidence and attitude blossom! 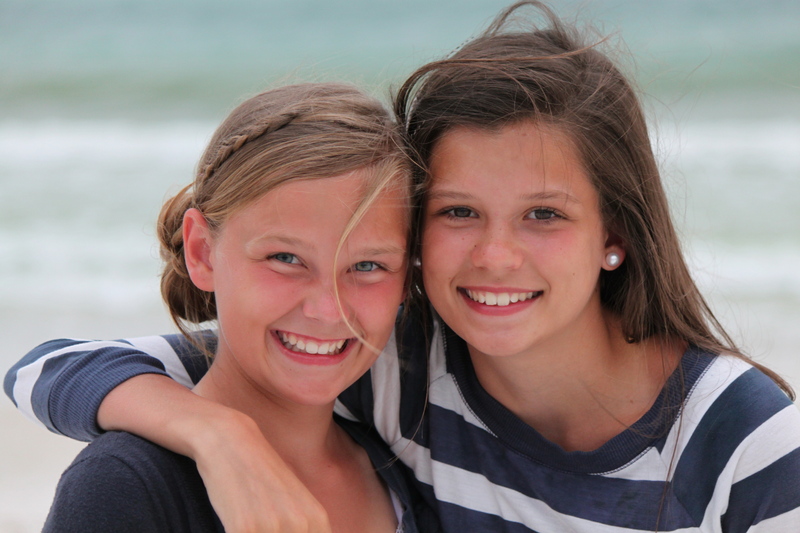 We have the two most amazing daughters in the world! Reblogged this on Jennifer Breland.